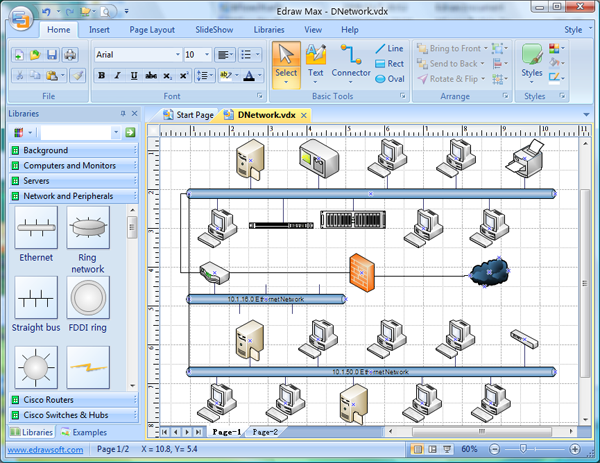 Edraw Max is an easy visio network diagram alternative software. It's a good choice for network engineers to draw network diagrams. 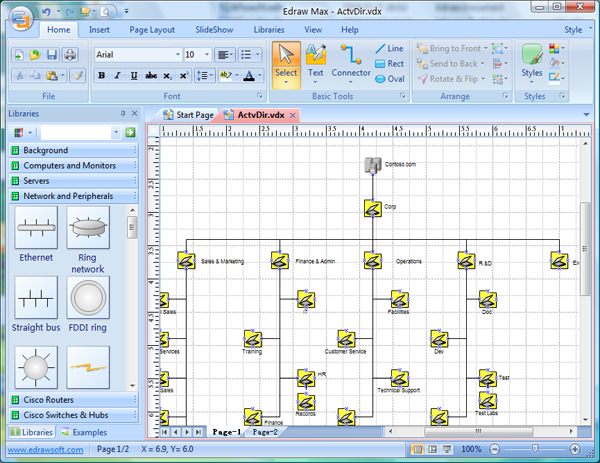 Since Edraw Max V4.2 version, all Edraw products can import the Visio XML files. It is fully Visio compatible and a better choice for network engineers. The compatibility is symbolic level so that you can edit all the lines, colors and text later. 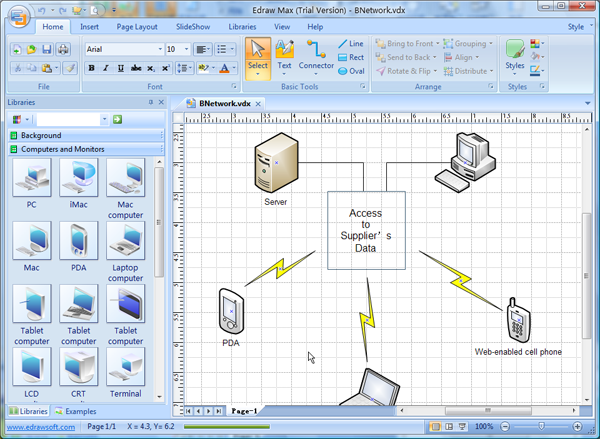 The following examples are some standard Visio network drawings which were imported into Edraw. The effect is nice and you needn't to modify them again. Only click Import Visio XML File button. 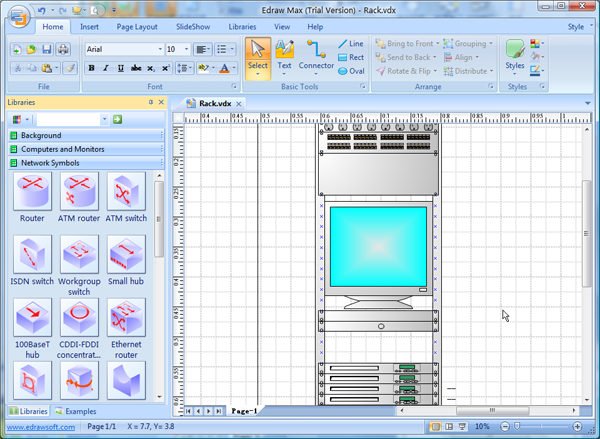 Edraw is compatible with Visio. It's the only thing that can do everything I need, and which can be made to look reasonably good. You'll have to invest some time in it before you get reasonable proficient with it. I've currently got a template with a reasonably looking custom style and a couple of pages with default Network symbols, UML diagrams other diagram icons which I copy-paste to create new diagrams. Make sure you learn how to use Styles, cause they'll save you a lot of time if used properly.